The Fire District, in cooperation with the Villages of Campton Hills, Elburn, Lily Lake, and Virgil and the communities of LaFox and Mill Creek and the Kane County Development Department, reviews plans for construction in commercial occupancies. This includes new construction, remodeling, renovations, and additions. 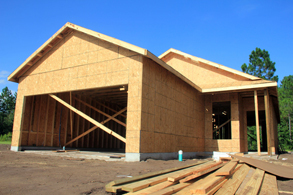 A non-structural review is performed on basic building plans to assess the type of construction, means of egress and to help determine the appropriate use group. At the time of plan review, information pertaining to the type of operation, what will be stored, how it will be stored, how much of a product will be stored, and hazard information on those products will be requested. This is necessary not only to determine if the structure is adequate for the proposed operation but will also help determine the appropriate type of fire suppression and fire alarm system that must be installed to protect the building.Reviews of the fire wall construction, fire alarm, kitchen hood, and fire suppression systems plans are conducted to make sure these systems meet various codes as they pertain to appropriate equipment being installed and that the systems is properly designed and installed to provide the acceptable level of protection to buildings and their occupants. If you have any questions regarding the plan review process or what codes apply, please call the Fire Prevention Bureau at 630-365-6855 or email Fire Marshal Lisa Schopp at schopp_l@ecfpd.com. Tragic fires can occur anywhere, anytime. Having ready access to an ample supply of water is critical in an emergency. Large cities provide pressurized hydrants for use in fighting fires. In rural areas, however, small water systems may not have enough water in reserve to fight a fire. Private wells can seldom provide the necessary flow for firefighting. Ponds, streams, and even wastewater treatment lagoons can be considered as a source of water to combat a fire. Dry hydrants provide an easy access to fill tanker trucks regardless of weather. A dry hydrant is a non-pressurized, low-cost pipe system installed along the bank of a body of water. The top of the pipe extends above the ground next to a body of water and the bottom of the pipe extends down into the water. A minimum of two feet of water must be maintained over the bottom of the pipe to assure year-round water supply. The Elburn & Countryside Fire Prevention Bureau will perform a pond survey after a water source for fire protection has been identified. A water use easement agreement between the property owner(s) and the fire district is signed and filed with the districts attorney and placed on file with Kane County. A location at the water source is identified where the dry hydrant is to be installed per the Fire Prevention Bureau specifications. The dry hydrant installation is approved and installation can begin. When completed the dry hydrant is tested and the location is permanently marked as a water source for fire protection within the fire district. The insurance benefit to the building owners is depending on the distance from the dry hydrant to the nearest buildings. The materials needed for a dry hydrant include: 8-inch (or larger) schedule 40 PVC pipe, hose connection compatible with local fire equipment, 45-degree elbows, and a strainer with cap. The vertical dimension is the most limiting. Water cannot be lifted by suction greater than 20 feet. The hose connection must be positioned 2 feet from the ground so it is accessible year-round, even in snow. Therefore, the vertical length of pipe shall extend down to a depth below frost line but no deeper than 17 feet. Less than 10 feet is preferred. The horizontal section of the pipe extends out from the bank and into the water, secured 2 feet up off the bottom to avoid clogging with mud. The pipe should be at least 3 feet below the anticipated water surface during low water conditions to assure enough water to fight a fire. The intake must be covered with a screen to keep debris out of the pipe. Cost to install a hydrant vary with the length of pipe used along with the labor and equipment needed for excavation. To bring costs down, some groups provide the labor as a community service. 24 hour access is critical for any emergency. The hydrant shall be well marked and next to an all-weather road. Access to the hydrant must have a minimum road width of 26 feet and a maximum grade of 8 percent. Place a sign next to the hydrant. Remember, the area may be wet or even icy when it is needed most, so consider placing gravel or other paving between the road and the hydrant. Dry hydrants require regular maintenance. Each hydrant should be inspected quarterly. Clear away any trees and underbrush that may make it difficult to locate or access the hydrant. Also check for aquatic plants or silt that could clog the screen. Back flush the hydrant quarterly and conduct a pump test. Regular inspections offer a great opportunity to train new fire department personnel. If a dry hydrant is located on private property, fire departments should get written permission at the time of installation to access for inspections and emergencies. Reducing the time needed to fill tanker trucks providing water to a fire. Plan ahead and install dry hydrants as new ponds are constructed. It is always simpler and cheaper to install a dry hydrant as the pond is being built. * State of Illinois Law now requires that an Automatic Fire Sprinkler System Technical Submission Form be completed and returned with any building permit application for any work that is being done in a building that has a fire suppression system.